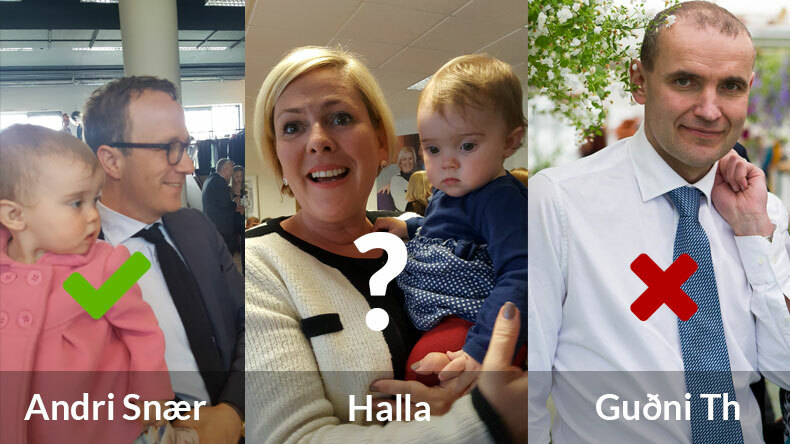 We Icelanders elect our president next Saturday. Our current president has been in office since 1996. That’s the year Tupac was killed, people danced the Macarena like there was no tomorrow and Toni Braxton begged for some man to Unbreak her heart. Nine people are running and I was torn between three of them; Andri Snær Magnason, an award winning writer and eager environmentalist, Guðni Th. Jóhannesson, a witty historian and Halla Tómasdóttir, a business savvy entrepreneur. I wish I could merge them all together into one super candidate but I can’t. So I decided to see how they would answer one simple question: Would you, as president, promote Icelandic ingenuity and tech industry abroad? You see, I’m sick of industries like agriculture and the fishing industries getting huge funding for promotion abroad. In my opinion ingenuity could be a hundred times more fruitful than selling a few carcasses of lamb overseas. I started off trying to meet Guðni Th. at his campaign office in down town Reykjavík. I had just missed him and he was en route to the Westfjords. But I got to meet and chat with his staff which didn’t convince me that he was my candidate. They had quite mechanical answers to my question and really didn’t make me feel welcome. I felt like I was a sales man trying to sell them the new wonder mop that they really didn’t want. Since then I’ve watched interviews with him and even though I think he is very likeable and charming, I believe he is a tad too conservative for me. Next up was Halla Tómasdóttir. She surprised me a lot. Incredibly warm and charming woman – something that hadn’t fully translated on TV. She herself is an entrepreneur and believes the president should do everything in his power to promote Icelandic ingenuity and entrepreneurs abroad. She however does not believe in promoting certain companies in the field which I strongly agree with. Top marks to Halla! And finally it was time for Andri Snær. A candidate that I didn’t really believe in or trust to be president. He hadn’t charmed me in the past and I was doubtful that he would do so now. I met him at his campaign office and got right the point. Asked him my question and without the slightest bit of hesitation he answered and his answer was like music to my ears. Absolutely and without a doubt would he promote ingenuity and the tech industry. And he agreed with Halla that it’s highly unethical for a president to promote certain companies. He spoke so passionately about how this is the way forward for Iceland and the possibilities that lie in this field that he completely swept me off my feet. I saw him in a totally different light and as I stood there speaking to him I thought: Wow, that’s my president right there. And come election day I just pray and hope that many more agree with me.